My mother has been making this pie for as long as I can remember. When I was a kid she made it for every.single. family.function. The ingredient list is short and it requires no baking whatsoever. And, it’s National Blueberry Month. Did you know? This makes it the perfect time to share! 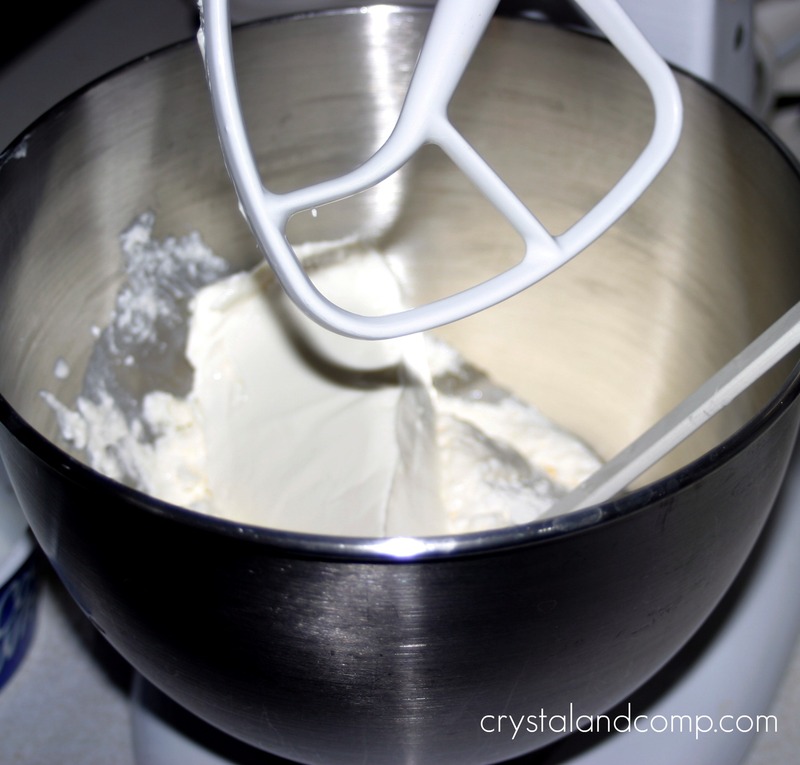 Combine your cream cheese and whipped cream that are at room temperature in a mixing bowl. Mix on medium speed getting it as smooth as possible. After about 2-3 minutes of mixing, add your sugar and vanilla. (I only like to add one teaspoon of vanilla, my mother likes one tablespoon. You choose.) Mix until combined and creamy- about 2 more minutes. 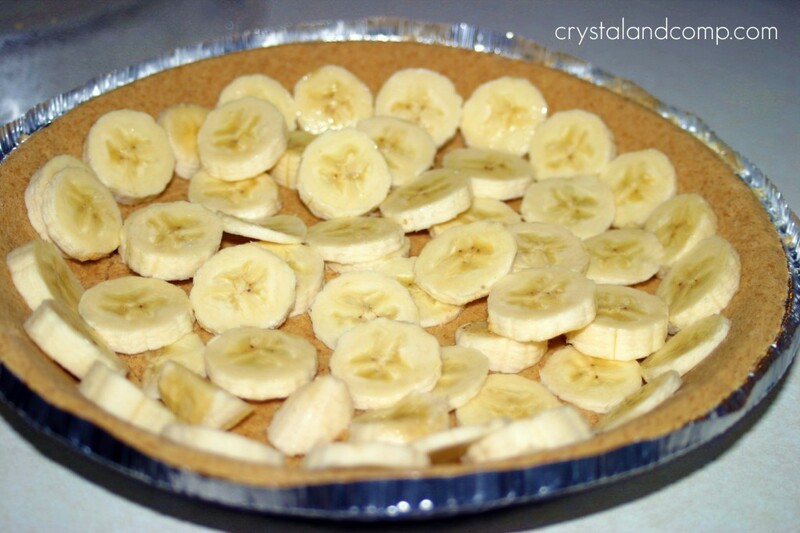 Line your graham cracker pie crust with the sliced bananas. 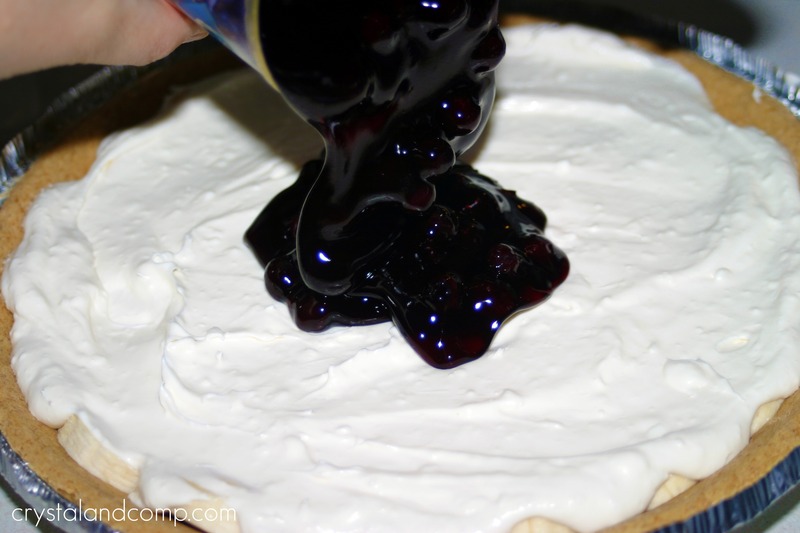 Evenly pour the entire can of blueberry pie filling over the creamy pie mixture. 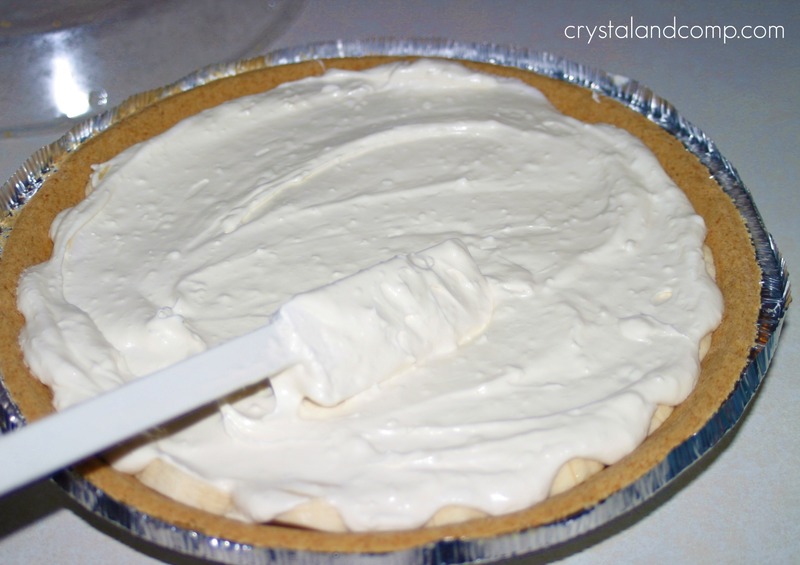 Pop the lid on the pie and refrigerate until you are ready to serve. It is best to refrigerate for at least 1 hour, I say at 4-6 hours you have pie perfection. Once you’re ready to serve, just slice it and plate it up. Is that super simple or what? Once you're ready to serve, just slice it and plate it up. I am sharing this recipe on these resourceful sites: i heart naptime, the girl creative, C.R.A.F.T. craftomatic, crafts keep me sane, skip to my lou, making the world cuter, sumos sweet stuff, mad in crafts, tip junkie, tasty tuesday, tempt my tummy tuesday, simply sugar & gluten-free, craft edition, hope studios, todays creative blog, sew much ado, someday crafts, we are that family, blue cricket designs, somewhat simple, paisley passions, house of hepworths, fun to craft, fingerprints on the fridge, tidy mom, a few of my favorite things and it’s a hodge podge life. Looking for a more copious list? Here are over 50 sites to search for and share projects and tutorials. This looks delicious ~ I love yummy foods that I don’t have to bake. That looks so good! I’ve never thought to do banana and blueberry together but it sure does sound good! Stopping by from TT&J! This will be my next potluck dessert! Thanks for sharing! This looks delicious, and with all the hot weather we’ve been having no-bake is always a good thing! mandy recently posted..Envelope System Wallets! Awesome, Mandy! Thank you so much for pinning this recipe. I really appreciate it. yum!…LOOKS incredible!..wish I had some right now. I’m visiting from FOODIE FRIDAY! 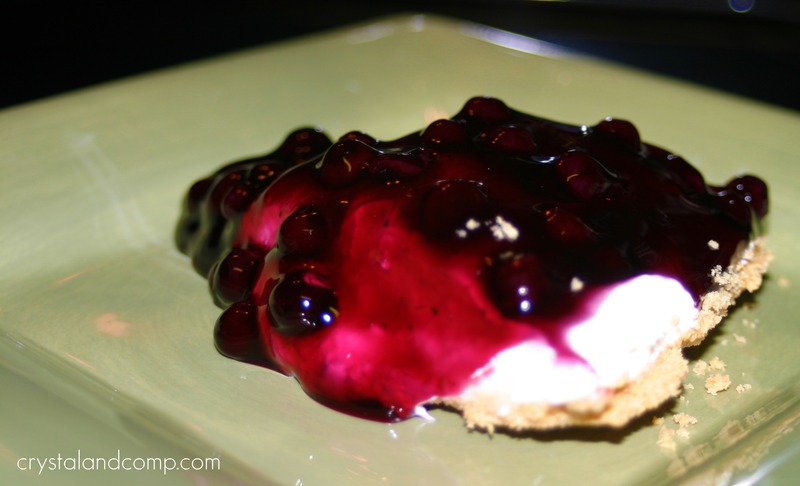 This is a great summertime dessert. 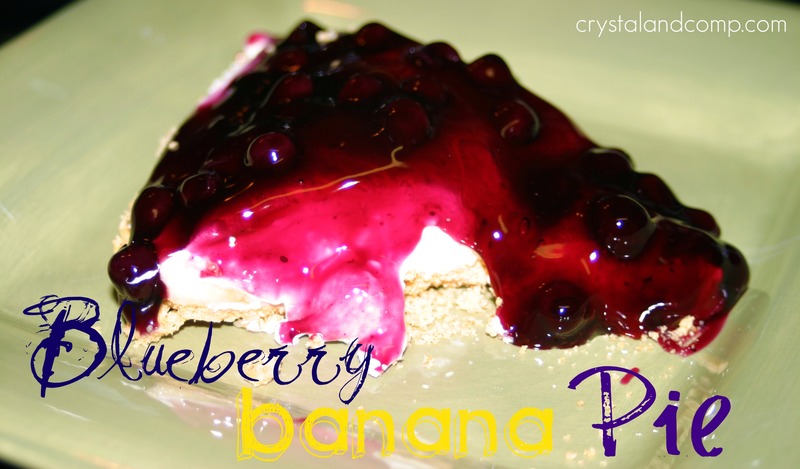 The NO Bake Blueberry Banana Pie looks delicious! So our Mimi made this for years and refused to share the recipe. Of course everyone gets older so I finally got it. I made it alot and promptly lost it. You ma’am just posted that exact recipe and just in time for thanksgiving! Of course I had to try and approve it so at 2am I made it and now only half the pie is left because I ate way too much! Yay!! I am do glad you found the recipe. My mother has made it for years. My family has made this for years. I misplaced our regular recipe, but I remember it as being pretty much the same (if not the same), so I used this one. 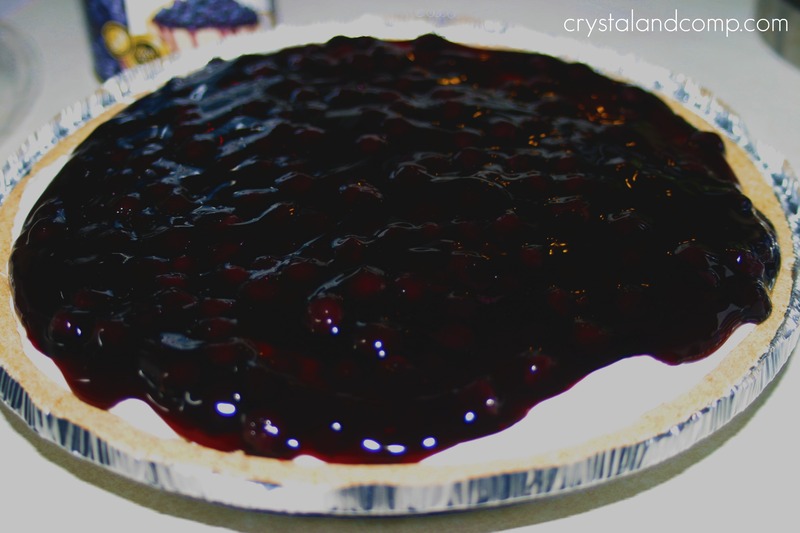 The only suggestion I have is when putting on the blueberry pie filling, leave about an inch or so of white around the edge, so it has a circle of blueberry on the top. The contrast between the white and the blue makes it really pretty. My family has been making this pie for over 50 years (Mom made it for my birthday every year), but we call it Blueberry Yukoli Pie and change the fruit to cherry on occasion.